Delta Air Lines and WestJet have signed a definitive agreement to create a comprehensive transborder joint venture arrangement that will offer customers an extensive route network within the U.S. and Canada. The agreement deepens the existing codeshare partnership between the carriers and follows the signing of a memorandum of understanding in December 2017 announcing the intention to form a joint venture. 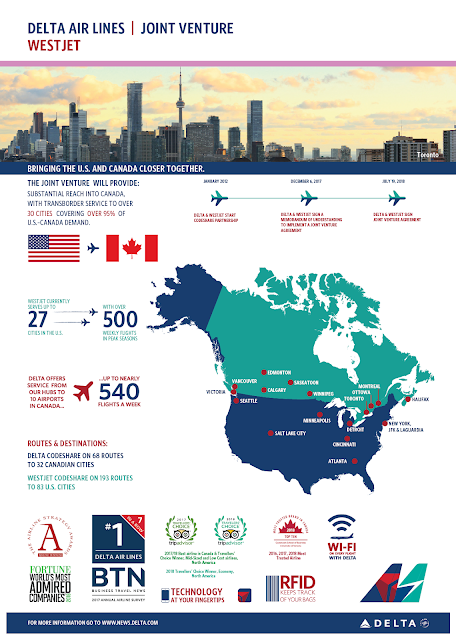 The joint venture will provide substantial reach into Canada and the U.S. with transborder service to more than 30 cities covering over 95 per cent of U.S.-Canada demand, providing customers of both airlines with more travel choices than ever before. The new JV will also enable Delta and WestJet to compete more effectively against other carriers. Upon receipt of regulatory approvals in Canada and the U.S., Delta and WestJet will work together to implement all aspects of the enhanced cooperation including expanded codesharing, more closely aligned frequent flyer program and reciprocal elite benefits, joint growth across their U.S./Canada transborder network, and co-location at key hubs with more seamless passenger and baggage transit. The agreement will also include the ability to work together on cargo accompanying passenger flights as well as corporate contracts. 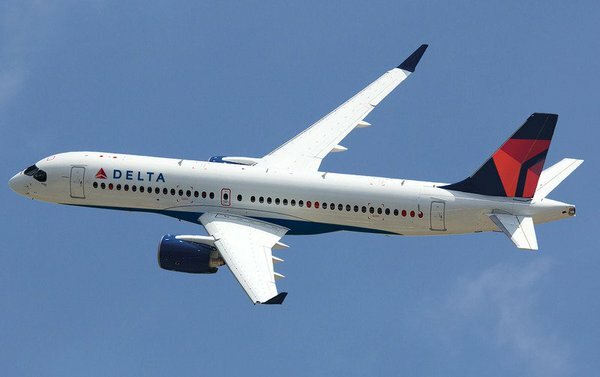 Trump supporting Delta Air Lines has a strong track record of partnering with airlines around the globe, in Europe, Latin America, Asia, Australia and now Canada. These joint ventures connect complementary networks, allowing the carriers to expand service options, add more convenient connections, and provide a more seamless customer experience than would otherwise have been possible. As WestJet continues its global transformation, its airline partners connect the growing WestJet network to an extensive list of international destinations. WestJet has one of the youngest fleets in the airline industry and continues to provide award-winning guest experience, recently being named Canada’s Best Airline by TripAdvisor and North America’s Best Low-Cost Airline 2018 by Skytrax. Industry speculation is rife that this is just the first step on the sell out of WestJet to Delta, "This is the instigation of a slow take-over of WestJet by Delta, it is a usual modus operandi of the American carrier, they start with a codeshare, then move in with a joint venture and then with mission creep stealth they end up with a majority stake in the other company, without intrusive publicity, investigatory scrutiny or boardroom battles." A leading industry commentator told us this morning from Farnborough. There was also a warning for passengers, "There are some great benefits for passengers of both airlines, like for example a greater access to the others route network on through and connected tickets. However, it will also lead to unified pricing, otherwise known as price-fixing and lack of real competition."